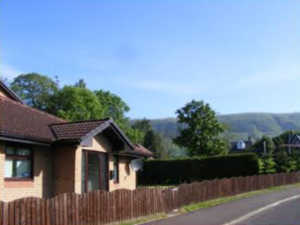 Set in the country town of Lennoxtown at the foot of the Campsie Fells, Dingieshowe Cottage is a spacious modern bungalow with plenty of room to relax! 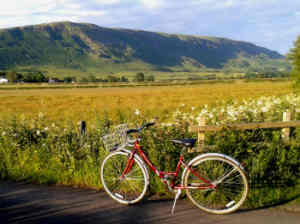 The cottage is in a quiet cul-de-sac between Lennoxtown Main Street and the Strathkelvin Railway Path, a traffic-free foot and cycle path. There are lots of walks (level or steep), cycling destinations and scenic drives in the immediate area, plus plenty of brilliant attractions in easy reach by car or by bus. With a wide range of amentities nearby, including shops, pubs and restaurants, it's the perfect recipe for a peaceful break and an ideal base for exploring Scotland. Click on the links above to find out more!